Perhaps it is one of your New Year’s Resolutions to read through the Bible in its entirety. 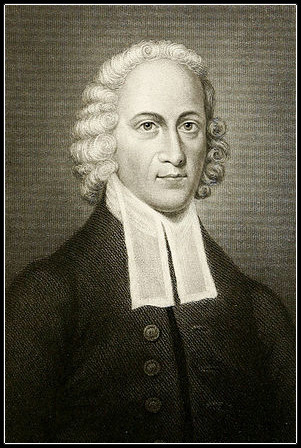 If so, you may find the one year Bible reading plan of Puritan Nicholas Byfield (1577-1622) to be helpful. May God richly bless your endeavour to honour him by spending meaningful time in his Word! Download the PDF file here. Library hours: Open 24 hours a day, 7 days a week, 365 days a year, including all major and minor holidays. Eating and drinking are allowed in the library. 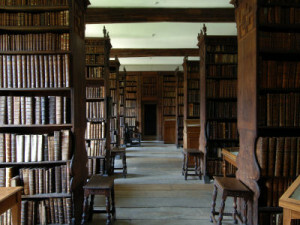 You may check out as many titles as you like; no library card is required. Materials checked out need never be returned. Highlighting, underlining, or otherwise annotating materials checked out of the library are encouraged. Please keep the library tidy by reporting broken links and errors. This library belongs to Jesus Christ. 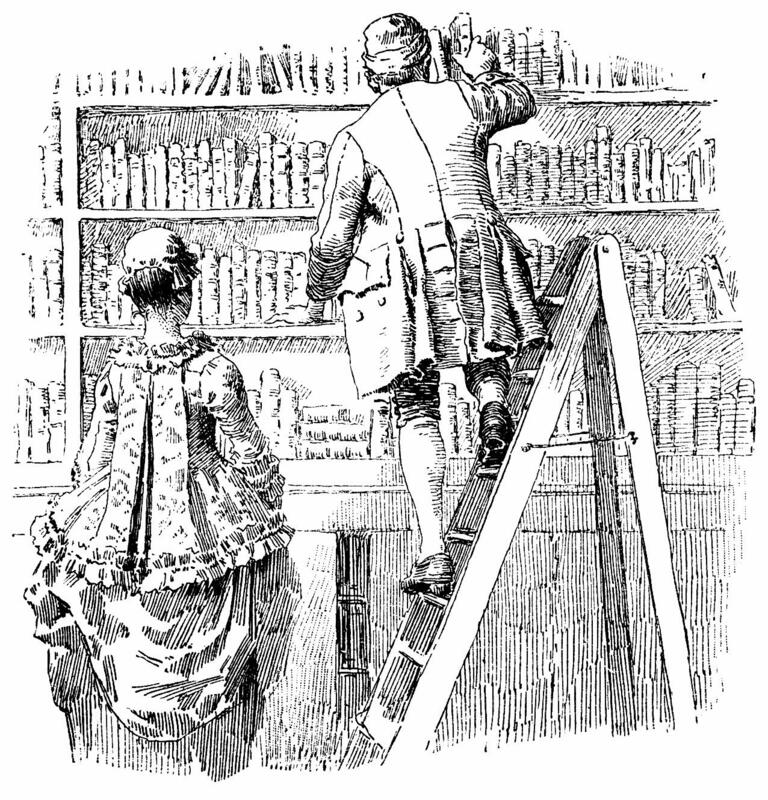 It is expected that patrons will maintain decorum that is commensurate with the great honour of the library’s generous Benefactor. The following is a list of questions for self-examination drawn from the text of the book, The Necessity of Self Examination, recently republished for e-readers by Digital Puritan Press. It is suitable for a quick review of the topics discussed in the text, and is also convenient for use in the accountability group setting. Download a PDF file of these questions here. Is my heart eager to learn of “any wicked way” in me? Are my motives for self-examination correct—that I might be led “in the way everlasting”? Is it important for me to know whether or not I live in a state of sin? Do I live in the gratification of some lust, either in thought or in deed? Do I live in the omission of some known duty? Am I sinning against the light of my conscience in some way, by going on in known sins? Have I been careful, watchful, and diligent in observing myself for evidence of sin in commission or omission? Have I lived in some way which is inconsistent with my Christian profession, and is not suitable for disciples and followers of Jesus? Have I allowed myself to become blinded by the deceitful nature of habitually gratified sin? Have I invented ways of justifying my sinful practices, calling them by more virtuous titles, or rationalizing them in any way? Do I regularly ask friends and loved ones to show me the faults that I cannot see in myself? Do I overlook some sin in my life because it has become customary to me? Do I allow myself to commit some sin because it is not widely condemned among my fellow-man, or because I see it done by my peers? Am I selective in my obedience? Do I pick and choose which parts of my duty I will perform, neglecting those which are more distasteful to me? Do I set aside time regularly to read and meditate on the Word of God? Have I taken the utmost care to know myself, so that I may compare my thoughts, words, and deeds with the rule of holy Scripture? In what ways does my life agree (or disagree) with what Scripture teaches? Am I doing anything which might be considered a ‘grey area’; things that godly brethren would view as a way of sin? When I look upon this with the utmost strictness, can I see any sin in it? Do I live in any way that I might regret when I lie upon my death-bed? Is there anything I am doing that I would not want to be caught doing if Christ were to return that moment, or I should be taken out of this world and into eternity? Do I consider carefully what others (both friends and foes) say of me and to me, to discover whether I might be living in any way of sin? When I see faults in others, do I make use of the opportunity to examine myself, to see if there is the same fault in me? When I see another who is blind to his own sin, do I look to see if I am also blind to this same sin? Do I live in some way which profanes the Sabbath-day? Do I profane the Sabbath-day by conducting avoidable worldly business? Do I engage in speech which is not fitting for the Lord’s Day? Do I squander the opportunity afforded me to seek God and salvation in greater measure, because of vain, earthly pursuits I am accustomed to on this day? Do I slight the Sabbath by often coming late to church? Do I avoid participation in the ordinances of my church for some reason? Am I frequently distracted during church, allowing my mind to wander freely? Do I spurn the message of God’s herald by allowing myself to sleep in church? Am I guilty of allowing scandals to exist within the body of Christ? Do I neglect the duty of regular, private, prayerful reading of the Word of God? Do I gratify some sensual lust, either openly, or by relishing the thought of it in my mind? Do I somehow cultivate an appetite for carnal things? Do I allow myself to indulge in sinful anger? Do I live in hatred or ill will towards my neighbour? Do I rejoice at his misfortune? Do I live in envy of my neighbour’s prosperity, wealth, or honour among men? Do I cheat and defraud those with whom I deal? Am I trustworthy, dependable, and truthful? Do I pay the debts I owe in a timely fashion? Do I take advantage another’s necessity as an opportunity for selfish gain? Am I always honest when buying and selling goods and services? Do I show the love of Christ by helping my neighbour in his time of need? Do I entertain the company of lewd and immoral persons? Do I speak evil of others in gossip, slander, or flattery, or entertain such speech in conversations with others? Do I accept the ill report of another concerning my neighbour, without going to my neighbour to confirm the truthfulness of the report being circulated about him, and give him an opportunity to learn of it and vindicate his good name? Am I two-faced and disingenuous in my conversations with parties who are in disagreement over some issue? Am I strictly truthful in my conversations with others? Do I allow myself to shade the truth or exaggerate? Do I behave in any manner which does not exemplify Christ among the members of my household? Do I love the members of my household to a degree commensurate with their near relation to me? Have I caused or furthered any contention among my familial relationships? Am I honoring the marriage covenant by cultivating my relationship with my spouse? Have I sought to perform all those duties to which Scripture calls me, by humbly serving my spouse with deliberate diligence? Do I maintain any bitterness toward my spouse, even if it seems justified? Am I easily irritated with my spouse or other family members? Do I study my spouse so that I may suit myself toward her needs, temperament, and comfort? Or do I live to please myself first? Do I govern my wife imperiously, in an unbiblical authoritarian manner? Do I neglect the regular and diligent instruction of my children, overlooking this as a duty of the utmost importance? Is my discipline of my children fair, consistent, and effective? Does it combine the elements of correction and instruction? Is it done in a loving manner? Do I undermine my spouse’s attempts to discipline my children in any way? If a child, do I honor my parents by obeying them without protest? Do I accept their counsels and reproofs willingly? Do I harbor a rebellious attitude toward them? If a child, do I despise my parents for their weaknesses and shortcomings? Do I honor my parents in their old age? Does my conscience accuse me that I am living in any way of sin? Do I bear fruits which are consistent with a genuine profession of faith? Is grace flourishing in my soul? Is it growing and strong, or languishing? Has some habitual sin in my life paved the way for a greater sin? Is some habitual sin causing me to live in a spiritually darkened state, with cold affections toward Christ, in which I am grieving the Holy Spirit and inviting desertion by God? If I am in a doubting condition, could it be caused by some sin I have not forsaken? If I am in adverse circumstances, could some sin be the cause of it? If I fear suffering, illness, or death, could it be caused by some habitual sin that I have not forsaken? 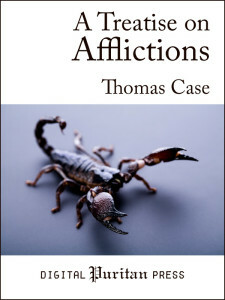 What follows is an excerpt from A Treatise on Afflictions, which is now available for e-Readers and in paperback. Here Case teaches parents several important lessons from the example set forth by Scripture, in the case of that discipline which our Heavenly Father uses to our good. 1.) Afford your children due correction. It is the counsel of the Holy Ghost, “Chasten thy son while there is hope, and let not thy soul spare for his crying” (Proverbs 19:18). Behold, God counsels you that are parents to do with your children as he doth with his; wisely to use the discipline of the rod, before vicious dispositions grow into habits, and folly be so deeply rooted that the rod of correction will not drive it out. “Error and folly,” saith one very well, “are the knots of Satan with which he ties sinners to the stake to be burnt in hell”; and these knots are easiest cut betimes; or if you should make the child bleed in cutting of them, let it not cause you to withdraw your hand; for so it follows, “Chasten thy son, and let not thy soul spare for his crying”: it is not only foolish, but cruel pity to forbear correction for a few childish tears; to suffer the child to wail in hell for sin, rather than to shed a few tears for the preventing of it. Foolish fathers and mothers call this love, but the Father of Spirits calls it hatred: “He that spareth the rod, hateth his son” (Proverbs 13:24). Surely there is nothing so ill-spared as that whereby the child is bettered, such sparing is hatred; and because you hate your children in not correcting them, they may come afterwards to hate you for not correcting them. But this is not all; the parent’s leniency in this case makes way for God’s severity: pity to the flesh is cruelty to the soul; so the Hebrew may be rendered, “Spare not to his destruction, or to cause him to die”; that is, to occasion his destruction. The foolish indulgence of the parent may be, and often is, the death of the child—eternal death. Parents spare their children in their folly to the destruction both of body and soul. Yea, even in this life, how do many godly parents smart for their fondness, because they will not make their children smart for their folly. Eli and David would not so much as rebuke their sons; and God gave them rebukes in their sons. It is said of Eli, “His sons made themselves vile, and he restrained them not” (1 Samuel 3:13); the Hebrew has it, “He frowned not upon them.” Oh sad—for want of a frown, to destroy a soul! I am much afraid, this unchristian, yea unnatural indulgence of parents, is the fountain of all that confusion under which England at this time reels and staggers like a drunken man. And for this very sin (at least for this among others, yea, and for this above others) God is visiting all the families of the land, from the throne to the poorest cottage. Parents have laid the foundation of their own sorrows, their children’s ruin, and the desolation of the nation, in the looseness and delicacy of their education, and yet are not sensible of it to this day. Therefore God doth cross us in our righteous desires; we have walked, even in this point, exceedingly contrary to God and to his discipline; and therefore God is walking contrary to us, and is punishing us seven times more for this iniquity. And therefore O that parents would at length awaken themselves, to follow both the pattern and precept of their heavenly Father, who, as “he correcteth whom he loveth,” so he commands them to correct if they love their children. “Withhold not correction from the child; for if thou correct him with the rod he shall not die” (Proverbs 23:13). And it is further worth observation, that the same word in the original, which is translated “withhold”, signifies also “to forbid”; meeting with another distemper in parents, who as they will not correct their children themselves, so also they forbid others to correct them, under whose tuition they put them, as if they were afraid their children would not have sin enough here, nor hell enough hereafter, they lay in caveats against the means which God hath sanctified for their reclaiming. Parents, take heed that when you commit your children to others’ hands, you do not in the meanwhile hold their hands; if thou judgest them not wise, why dost thou choose them? If thou choose them, why dost thou not trust them? Well then, if the rod be in thine own hand, withhold it not; if in thy friend’s hand, forbid it not. Certainly there is great need of this duty, which the Spirit of God doth frequently inculcate all through the Proverbs. 2.) And secondly, if you would have your children happy, add instruction to correction. Imitate God in this part of paternal discipline also; let chastisement and instruction go together—it is what the Holy Ghost urges upon you, “Bring them up in the nurture and admonition of the Lord” (Ephesians 6:4). There are two words relating to both these parental duties; in the “nurture” or correction; and it is added, “of the Lord”: that is, either in the chastisement with which the Lord exercises his children; or in the chastisement which the Lord commands earthly parents to exercise towards their children; this is the first duty, of which we have already addressed. And then there is another word, which holds forth the end and design of parental correction; that is the “admonition” or instruction of the Lord; counsels and instructions taken out of the Word of God, or such as are approved of by God. The sum is this, that while we chasten the flesh, we should labour to inform and form the mind and spirit, by infusing right principles, pressing and urging upon their tender hearts counsel, reproof, and instruction as the matter requires. This is the duty of parents, to imitate God, to let instruction expound correction; and with a rod in the hand, and a word in the mouth, to train up their children to life eternal. A dumb rod is but a brutish discipline, and will certainly leave them more brutish than it found them. Chastisement without teaching, may sooner break the bones than the heart; it may mortify the flesh, but not corruption; extinguish nature, but never beget grace. But the rod and reproof give wisdom. As instruction added to correction makes excellent Christians, so also does it make good children. There are parents that are severe and crusty enough to their children; they spare for no blows. Instead of breaking them of their wills by a wise and moderate correction, they are ready to break their bones, and their necks too sometimes, in their passions; but they never mind the other branch of paternal discipline, instruction and admonition. Of such parents I suppose the apostle speaks, “We have had fathers of our flesh, who corrected and chastened us after their own pleasure” (Hebrews 12:9-10). 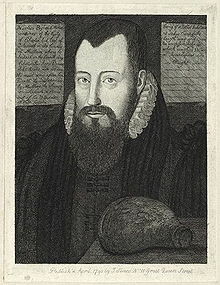 He is not speaking of all parents, but his meaning is, there are such men and women in the world who are most unlike to God, and in smiting their children rather please themselves than profit their children; he for our profit, but they after their own pleasure, to give vent to their passion, and satisfy their vindictive rage and fury. And when is that? Truly when the rod and reproof do not go together, it is an argument that there is more passion than judgment, more lust than love, in such chastisements. Such parents do rather betray their own folly, than take a course to make their children wise. The rod and reproof give wisdom; neither alone will do it. The rod without reproof will harden the heart and teach children sooner to hate their parents than to hate sin, while reproof without the rod will oftentimes leave no impression. It is divine truth alone that must be the instrument which works saving grace in the heart, “Sanctify them with thy truth, thy word is truth” (John 17:17). It is the commendation of Timothy’s mother, that from his very infancy, she instructed him in the Scriptures, “which were able to make him wise to salvation” (2 Timothy 3:15). When there is a divine sentence in the mouth of the rod, it brings wisdom and life with it. And finally, add prayer to instruction. As teaching should accompany chastisement, so prayer should accompany teaching. God need use only the rod and the Word because the blessing is in his own hand; he can command a blessing. It is not so with us, as Paul may plant, and Apollos may water, but God must give the increase (1 Corinthians 3:6); so the father may correct, the mother may instruct, both may do both, but God must give the blessing. So therefore Christian parents, while they add instruction to correction, should add prayer to instruction; means are ours, success is God’s; and therefore let us put the rod into the hand of instruction, instruction into the hand of prayer, and all into the hand of God. I knew a worthy gracious lady who would never use the rod; but, as with much pious instruction before; so after would cause the child (if of capacity) or ever it stirred solemnly to kneel down, and beg a blessing of God upon it. Go you and do likewise; pray and teach your children to pray, that God would so bless correction and instruction, that both may make you and your children blessed. IT IS MY OPINION, that the Puritans have explored deeper, further, and more methodically into these caverns—“the unsearchable riches of Christ”—than any others before them or since. Reading Puritan works can be difficult trekking, but like everything else in life, the reward is proportional to the effort expended. Here are a few thoughts which may help you maximize your enjoyment of, and the dividends paid by, your time spend reading the works of the Puritans. 1. Read slowly. 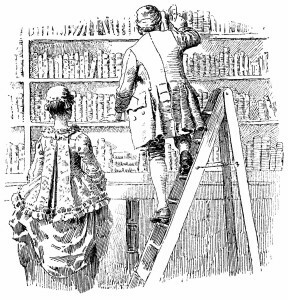 You will quickly observe that Puritan works, if they are to be read profitably, must be read with a deliberate slowness, and with contemplation. Their sentence structure, though complex, reflects the profundity of truths that are expressed therein. Skimming through these texts instead of reading them carefully and thoughtfully, is like the difference between touring the countryside in an automobile, or on foot. The pedestrian will see and enjoy his experience immeasurably more than the passenger. One of the surest ways to rob yourself of both the pleasure and profit of reading the Puritans is by moving through the text at an artificial or hurried pace. Set aside the idea of reading a certain number of pages, or completing a certain section in a particular sitting. Read instead until your appetite is satiated for the moment, and save the enjoyment of what remains for a later time. The bucket, when full, does not benefit from remaining under the open spigot—it already contains all the water it is capable of holding. Use the water to your benefit, and return again when the bucket has room for more water. Try to think of the work you are holding as a delicate wine of the finest and most prized vintage—to be enjoyed in a suitably quiet time with leisure, savoring it in small sips. It is not meant to be slurped greedily through a straw like a super-sized cola as you speed around town running errands at a frenetic pace. Or consider it to be a box of spiritual cigars, to be relished on a special occasion for their pleasing taste and aroma—not chain-smoked mindlessly like a ruffian in a motorcycle gang. 2. Make an effort to understand what the author is communicating—maybe in a group. Read and re-read passages that you don’t comprehend your first time through. Look up words you don’t understand fully. Some words that we still use in common parlance have meanings that have become archaic. Usually this will be obvious. Online dictionaries are helpful, in that they often reveal archaic definitions. Reading these difficult passages aloud often makes them easier to grasp. This is logical if you consider that many of these works are transcripts of sermons that were delivered orally when originally preached. I have sometimes enjoyed sharing Puritan works with others, as we take turns reading them aloud to each other. This also gives the opportunity to pause and discuss what is being read, amplifying the understanding in the mind, and making it more memorable—essentially sharing company with the long-dead Puritan divine who composed the work generations before. A Puritan book club need not be any more complex than this. No homework to do beforehand, just meeting together for coffee, taking turns passing the book around, reading it aloud and discussing it as you go—what a gloriously sublime use of these works! Happy reading, and, I invite your comments—The Editor.